This year’s Turin event took place on 14 December and focused on Cedefop’s work on big data analysis from online vacancies and the policy monitoring exercise. It was another opportunity for an active exchange of information and ideas on topics of common interest. Cedefop expert Vladimir Kvetan presented work on developing an EU-wide analytical tool for collecting data on skills demand by employers using online job postings. Cedefop’s project to develop this system started in 2017 and the first results will be released in early 2019. A fully fledged and validated dataset for all EU Member States will be available in 2020. The project benefits from collaboration with other EU institutions, in particular DG Employment and Social Affairs and Inclusion, DG Communications Networks, Content and Technology, Eurostat’s big data task force and the network of European statistical systems. George Kostakis, coordinator of Cedefop’s vocational education and training (VET) policies and systems team, presented work on monitoring and analysing progress towards achieving targets that were agreed in 2002 within the process of cooperation in VET (known as the Copenhagen process). 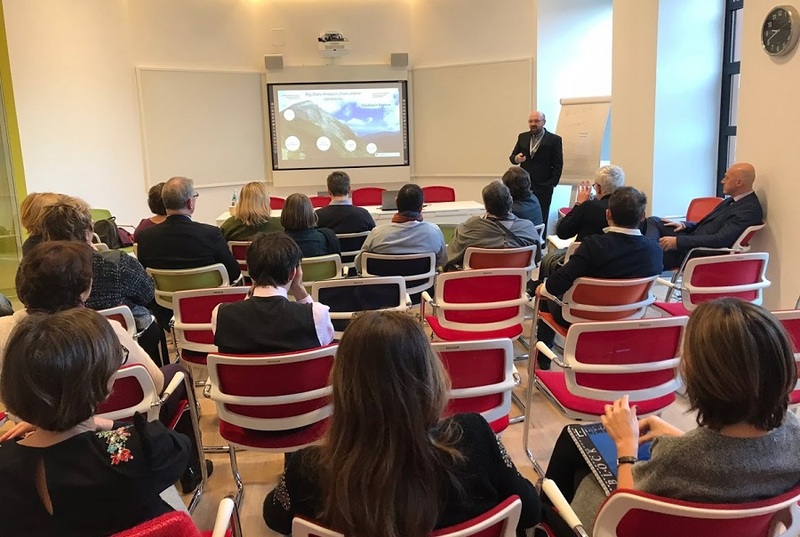 He also focused on the agency’s VET-in-Europe work, which aims at collecting reviews and disseminating up-to-date comprehensive information on education and training systems. ETF Head of Operations Anastasia Fetsi and Cedefop Head of Department for VET Systems and Institutions Loukas Zahilas closed the event, underlying the good cooperation between the two sister agencies. They elaborated on the details of the joint work plan for 2019. Bilateral discussions on main areas of cooperation between the two agencies followed.